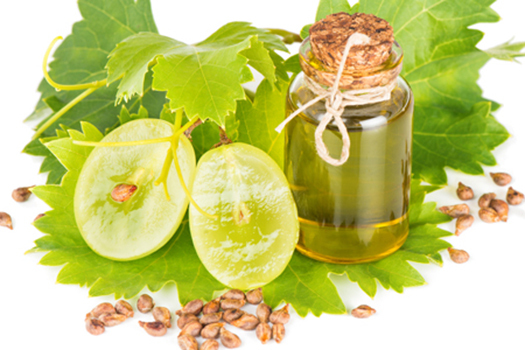 The therapeutic potential of grape seed extract (GSE) as anti-oxidant, anti-hypertensive and anti-inflammatory is so well established that this natural supplement is now being used in seven on-going clinical trials, only one of which is on cancer (of the breast). But the spotlight may soon shift to GSE’s anti-cancer potential as recent landmark studies on human patients have just uncovered remarkable protective effects of GSE against three major cancers: squamous cell carcinoma, prostate and hematologic malignancies. 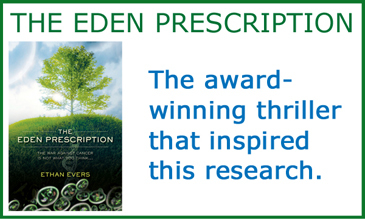 Even more remarkable is that this breakthrough in the science of natural medicine was not due to the foresight of medical practitioners who designed the trials, but to the patients who took GSE, on their volition, as a nutritional supplement to support general health. A recent study, just published in June 2011, was carried out in northern California on 830 participants to test the effects of general supplement use on the occurrence of squamous cell carcinoma (the second most common skin cancer). The supplements in use included vitamins A, C, D, E, multivitamins and GSE. Only the users of GSE experienced a significant reduction in risk (P = 0.031) of squamous cell carcinoma—by an astounding 74%. Multivitamin users experienced 29% reduced risk, but this was only borderline statistically significant. A much larger study conducted in Washington State tracked 35,239 male participants starting in the year 2000 in the VITamins and Lifestyle (VITAL) cohort. Participants, aged 50-76 years, answered detailed questionnaires about specialty supplement use for the 10 years prior to the start of the study. Prostate cancer risk was assessed after a median follow-up time of 6.1 years. The results showed GSE to be the stand-alone winner. Men who used an individual grape seed extract supplement with “high average use” over 10 years experienced a significant 62% risk reduction of prostate cancer compared to non-users, while average users of GSE supplements experienced a 41% risk reduction. None of the other supplements observed in this study (CoQ10, fish oil, garlic pills, ginkgo biloba, ginseng, glucosamine, chondroitin or saw palmetto) were seen to offer protection against prostate cancer. Note, however, that green tea was not one of the supplements considered. This study was published in May 2011. The same VITAL cohort as used for the prostate cancer study was also used to assess risk of hematologic cancers (involving blood, bone marrow or lymph nodes). The population was expanded to include women, for a total of 66,227 participants. Those who had “ever used” grape seed supplements saw a 43% risk reduction for hematologic cancers. This was only matched by those with a “high use” of garlic, who saw a 47% reduction of risk. No other supplements offered significant protection. This study was published in August 2011. In addition to the above cancers, GSE has already demonstrated cytotoxicity to breast cancer, colon cancer, gioblastoma, and NSC lung cancer cells in laboratory studies. But the three study results on human populations given above provide a dramatic leap forward for the science backing GSE as an anti-cancer supplement. It is astounding, then, that none of the studies received much media attention. That will likely require full-blown clinical trials, which will almost certainly be kicked-off as a result of these studies, but will take years to complete. Until then, the latest findings on GSE make a compelling case for its consideration in any program or supplement regimen meant to reduce cancer risk.